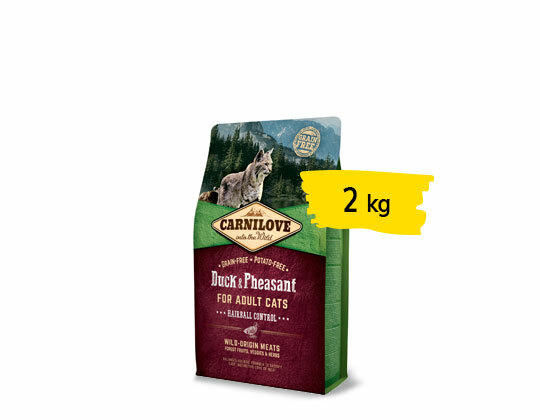 Carnilove Duck & Pheasant for Adult Cats has been formulated with respect for the natural composition of the feline diet. 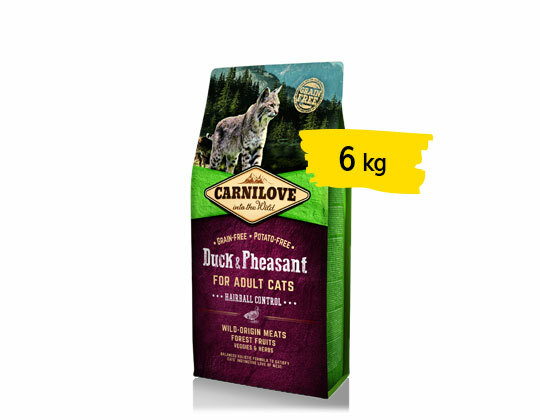 Duck and pheasant make an ideal combination of tasty and easily digestible food rich in natural nutrients that improve metabolism and maintain excellent condition. 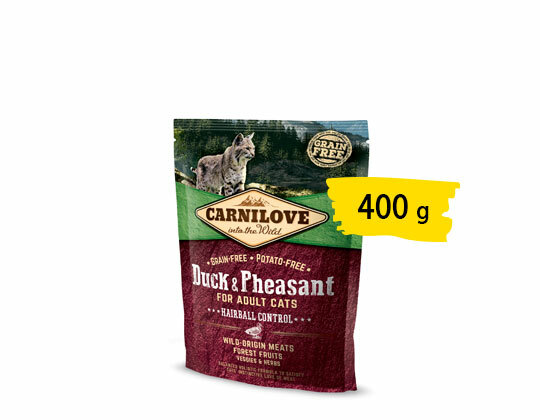 Increased content of natural fibre improves digestion and facilitates the passage of hairballs through the digestive tract. 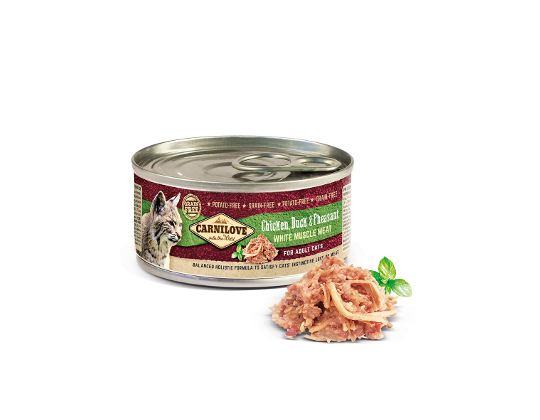 With forest fruits, vegetables, and herbs, the formula provides the nutrients, vitamins, minerals, and antioxidants essential to maintaining top physical condition and building natural immunity every day.